If you're looking at reliability, you're probably also interested in value and getting the most for your money. The 2018 Hyundai Tucson starts at the low price of $22,550, placing the Tucson among the most affordable compact SUVs on the market. So not only will your Tucson last, saving you money, but you'll also see the savings up front. We recommend the SEL trim, which gives you a bunch of active safety features, plus 7-inch touch screen, satellite radio, and Android Auto and Apple CarPlay. By comparison, the 2018 Ford Escape starts at $23,940. That means that the SEL trim is still cheaper than the Escape's base trim, which doesn't have any safety features except a rear view camera. Compared to the Escape, the 2018 Hyundai Tucson is 250 pounds lighter, meaning the Tucson uses less fuel to get moving. The Hyundai gets 23 city and 30 highway miles per gallon. The Ford Escape is thirstier, getting 21 city and 29 highway miles per gallon. Over the lifetime of your vehicle, this drip, drip will drain you a little more cash to the tune of $100 annually. Hyundai and Ford have apportioned their available cabin space differently. First of all, the Hyundai Tucson has more cabin space overall. The Tucson has 102 cubic feet of cabin while the Ford Escape has 98 cubes. Hyundai seems to have prioritized backseat legroom. 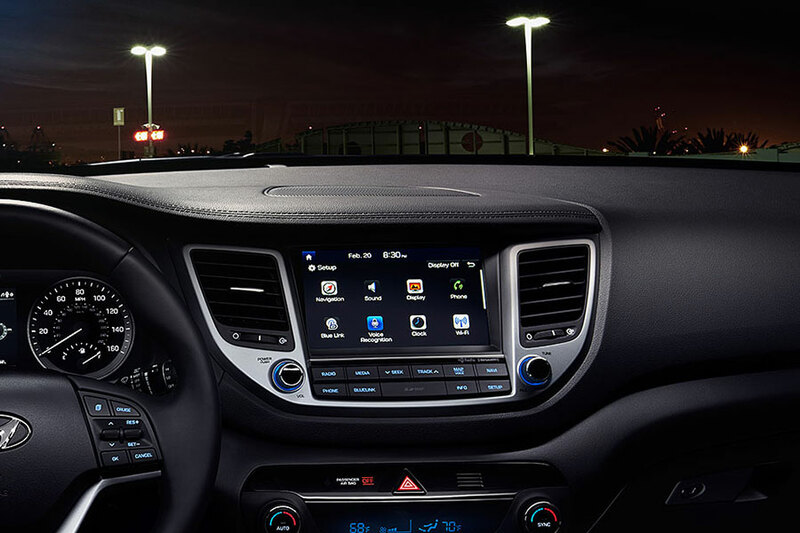 You'll find more of it in the Tucson than you will in the Escape. Meanwhile, Ford worked to maximize the front seat legroom and cargo capacity. We're calling this one a tie, depending on preferences. If you regularly have adults in the back seat or don't want the kids kicking your seat, the Hyundai may appeal to you more. If you need those extra 6 cubic feet of cargo space or would like a little more room for you and your front-seat passenger, the Ford might suit you better. Overall, we're calling this one a win for the 2018 Hyundai Tucson, which has safety and savings wrapped up in one nice package while easily matching the Escape in roominess and reliability.